Harmanjit studied for a degree in BA History from SOAS, University of London from the years 2014-2017. She is currently working in Policy, and working towards a Masters in Creative Writing. At this time of year, many Sikh Soc committees will be busy planning talks and socials for the months ahead, but a number of Sikh students will be getting prepared to study at institutions that do not have an existing Sikh Soc. Most of the time, this is smaller institutions, or universities that do not have a significant Sikh demographic. This was the situation when I started at SOAS in 2014. As a small, close knit University, I always assumed it would be a waste of energy to set up a Sikh Soc where the average attendance rate at events was unlikely to be over 10. When we eventually set up Sikh Soc in my first year, I was right about the attendance rate. But I was so so wrong about thinking it would be a waste of energy. 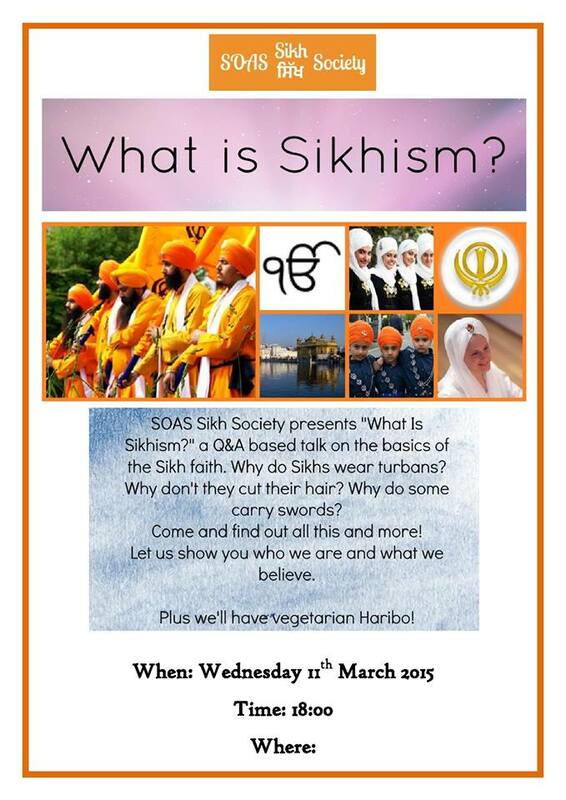 If you’re interested in setting up a Sikh Soc at your institution, don’t let small numbers put you off. 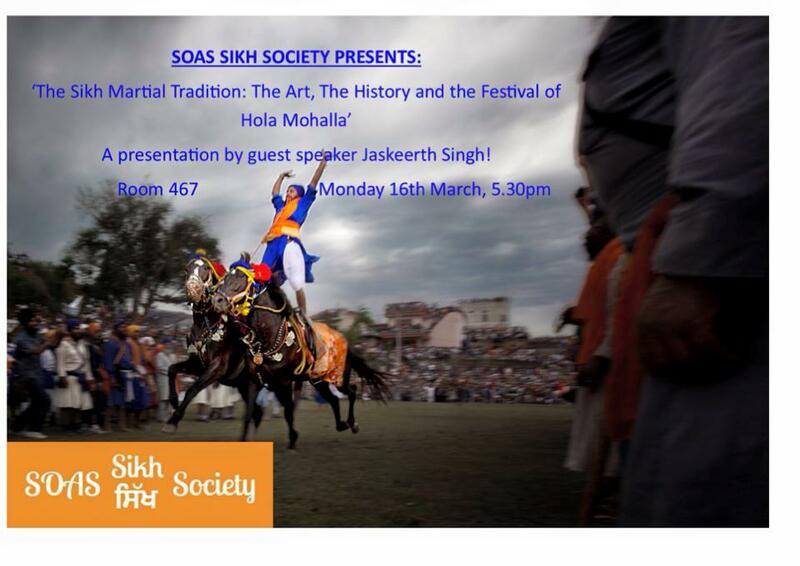 The SOAS Sikh Society consisted of four, regular members during my second and final year. During these two years I realised that creating things of substance is never about numbers, it is only about commitment. Our society was undoubtedly small, but this did not stop it from creating a powerful visibility for Sikhs on campus, and in enabling Sikh students to access a space which was exclusively for them to use and shape as they wished. Starting university was a disorienting experience, and amongst the information overload I craved a space where I could be myself, connect with Sikhi and make friends with like minded people. I finally stumbled across a Facebook post, asking whether there were any Sikhs at SOAS and whether they would be interested in setting up a society. When I attended the first meeting, it felt a little like coming home. There weren’t many of us there, but each of us had enthusiasm, passion and commitment, and that made the room feel a lot fuller than it was. Over the next few months we plotted many events, and with each one we organised, we felt more vindicated in our decision to set up the Society. These included movie nights, trips to the Gurdwara, discussion forums, as well as social trips to restaurants and museums. We quickly realised that there was a huge gap at SOAS when it came to the provision of education about the Sikh faith, and we recognised that we were in a position to be able to bridge this. So, we set about putting on educational talks, collaborating with other Sikh socs in London, and other societies at SOAS. Collaboration was key for us, as it allowed us to substantially increase our networks. 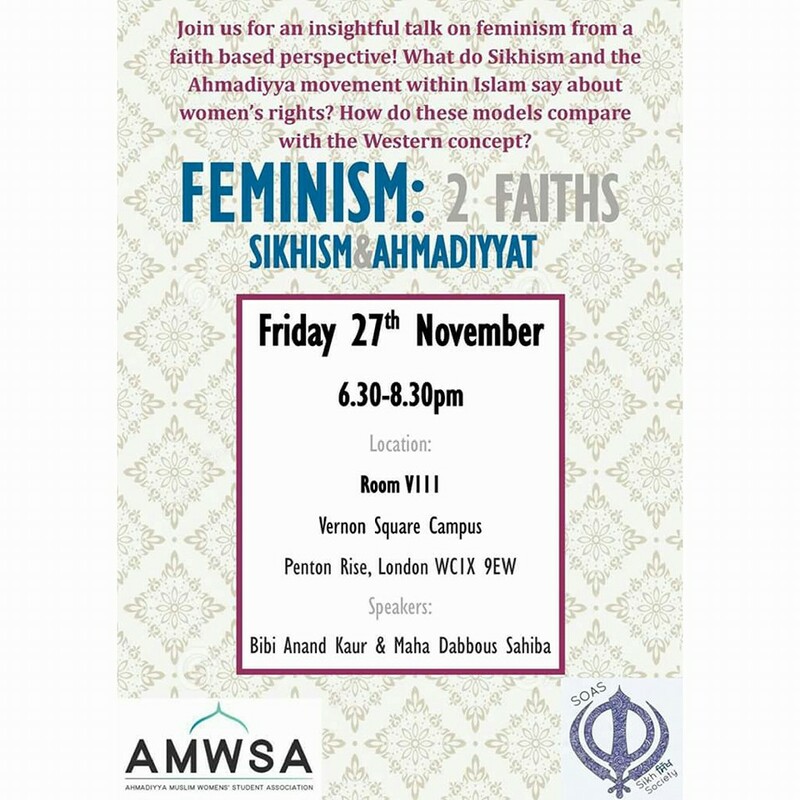 We held a collaborative event looking at the role of women in faith with the Ahmaddiya society at SOAS, and then a week long series of events looking at state oppression in South Asia with the Tamil Society. Each of these events allowed us to form lasting bonds, which still exist at SOAS today, and allowed us to amplify our voices on campus. Being part of an inter-sikh soc organisation, Nishaan in our case, was also very beneficial. The group chat allowed us to advertise our events, the advisory committee shared advice and most importantly, made us feel connected to Sikh students across the capital. 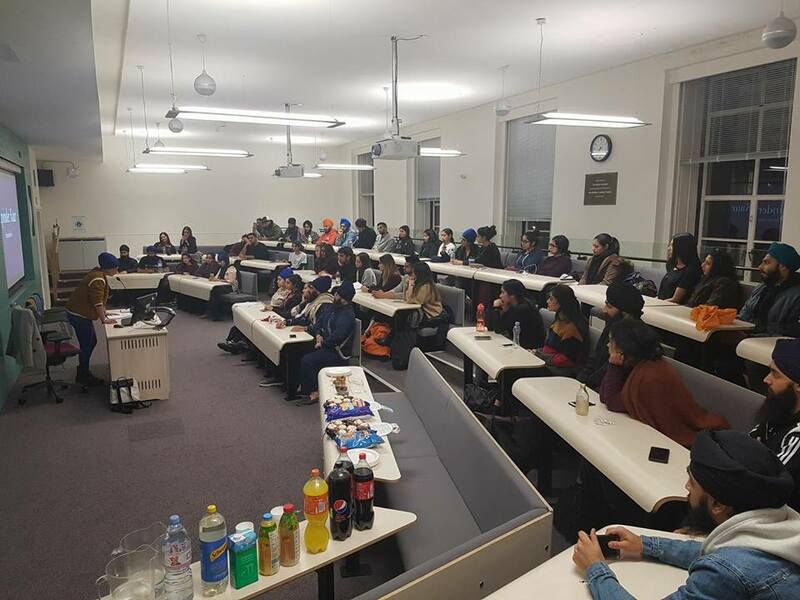 We hosted ‘Poetry Night’ at SOAS as a Nishaan event, and also opened up our doors to several Sikh organisations, inviting them to use our spaces and extending the welcome to the general public. In many ways, the small, intimate numbers in our Sikh soc allowed us to connect with each other in more meaningful ways. We had interesting, inspiring discussions at meetings, we shared personal stories and feelings more readily in small groups whilst remaining outward looking and taking care not to appear exclusive. As we discovered, the point was never about how many people walked through the door on the day of the event, but how many of those people walked out feeling lighter and more inspired after the event. The point was to make your Sikh soc mean something to the people who were a part of it. The point was to have a space where people could be more themselves than anywhere else in the University- a place which often, constantly demands that you be anything OTHER than yourself. The point was creating a network that was available to use, unobtrusive, but always there. I believe we managed to create all of these things at SOAS, with Guru Ji’s kirpa. That’s not to say we didn’t run into difficulties, having low numbers attending events did make it difficult to call speakers as we didn’t want them to be disappointed at turnouts. It also made larger events, like Langar on campus, difficult to put on because of the numbers we would need to pull it off. There are some practical tips on how to get around this: collaborating with other Sikh socs but hosting the event at your university, opening up the use of your university lecture theatres/ other spaces to Sikh organisations and inviting members of the general public to attend, or attending other University sikh soc events as a group. There are more practical tips and advice we can share, so if you want to reach out, please feel free to do so. Sikh Societies have always been a significant part of the Student experience in Universities across the country. But, I would argue, in recent years, they have become more important than ever- especially amidst increasing concerns over issues ranging from poor student mental health, to grooming on campus. For many Sikhs, societies provide the first place they able to engage with Sikhi on a peer to peer level, outside traditional spaces. So, finally, my message is this- if you’re at a university where there seems to not be a Sikh in sight, don’t write off the idea of setting up a Sikh Soc. Try reaching out for others, and even if there’s only a few of you, go for it! It's not going to be easy, and it will take your time, drive and commitment, but the rewards will be huge and last life-long. And- you’re not alone. Reach out to BOSS, or Nishaan if you’re London based, and you’ll have access to friendly people and useful resources to get you on your way. Even if you put on one event in the whole year, you will have successfully created a Sikh space in your university, and that can mean a huge deal to someone, it certainly did for me. A small, committed group of people have been know, in history, to change the world - you can most definitely start a successful Sikh society! What does Chardi Kala mean to you?